Minneapolis rhymer P.O.S. balances a back and forth between his solo LPs and his work with the Doomtree collective. Considering the troupe delivered their No Kings LP late last year, P.O.S. is getting back to his own work. Enter We Don't Even Live Here. P.O.S. will deliver his fourth full-length October 23 through Rhymesayers, marking his first solo set since 2009's Never Better. While the rapper has added guitars and screamed vocals to past work, this latest 11-track outing veers in a new electronic direction that favours "futuristic beats fit for a Berlin nightclub," according to the press sheet. You can get an idea of what to expect in the knob-twisting, double-drumming performance of album opener "Bumper" down below. 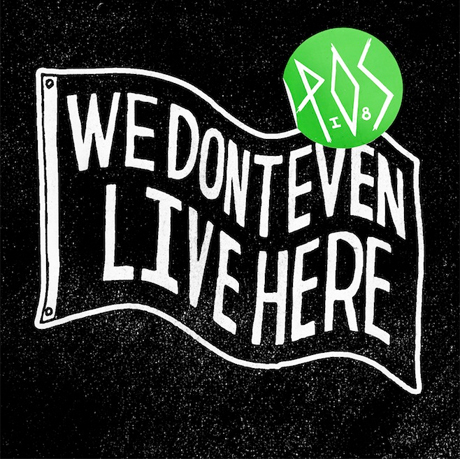 Amping up the LP with electronic sounds are Boys Noize & Housemeister, Gayngs' Ryan Olson and Innerpartysystem's Patrick Nissley. Elsewhere, Bon Iver's Justin Vernon lends vocals to "Where We Land," while Doomtree collaborators Lazerbeak, Cecil Otter, Mike Mictlan and Sims also stop by.